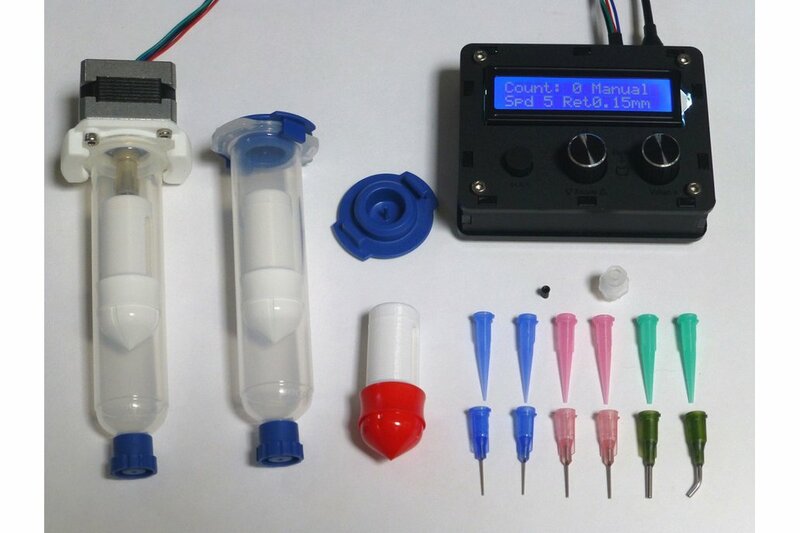 Bring your electronics and hobby projects to life with the best paste dispenser for makers! 2 Syringes are included. Choose "amber" if you'll be dispensing UV curable adhesives or resins, choose "clear" for anything else. Buy extra syringes if you want to increase capacity or you intend to store several fluids (remember these can be reused if cleaned before refilling). Default cable length works fine for handheld use, but if you intend to use with CNC/3D printers or have a large bench, this extension could be useful. One set includes 6 tips of the sizes shown in the description. Extra rubber suction cup for picking up large chips in pick up mode. Requieres a 14ga size steel tip. One is included in each order, add more if necessary. 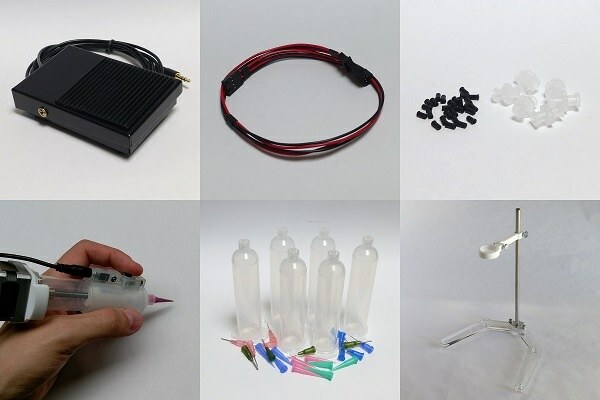 Dispense all sorts of fluids like: Solder paste, flux, resins, lubricants, silicones, gels and adhesives ranging from cyanoacrylates to UV-curable. 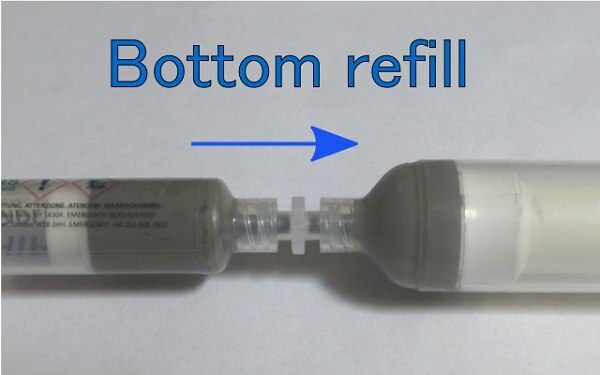 Easily refill syringes from the bottom up with the included coupler: No mess, no air bubbles. 2x empty syringes with caps and pistons. Around 15cc effective volume each. 1x Red piston for pick and place function. 1x Coupler for easy fluid transfer between syringes. 1x Rubber tip for picking up large ICs. You can ask questions on the forum on Twitter or with the "Contact me" link on this page. Note1: For best results use the lowest viscosity paste you can get, solder pastes that come in pre-filled syringes are more likely to work right away than the ones sold in jars, for those you can add liquid flux and it will reduce the viscosity. Note2: Contact me if you want an alternate shipping option not shown during checkout or if shipping is not available in your country. For "Registered mail" tracking number is provided but it's not guaranteed to work in all regions. Note3: If you need a lower contents value on invoice for reduced import duties, let me know before or immediately after placing the order. Product is as described and very good built. It took some time to arrive to Canada and I had very good support from the vendor when I emailed asking for details. For some reason the tracking number was not working. Product was very well packaged. Today, I finally got it and everything seems to be working as expected. This dispenser is very well put together and there is obviously a lot of time put in designing it. I recommend anyone looking for a dispenser to get this one. Got it, started playing with it and I am impressed. Very nicely done. Its a great tool to have in your arsenal. Took practically no time to get it setup and get a feel for the configurations. I was kindly surprised when I opened the box. The attention to detail, the care in which the dispenser has been produced and packaged is top notch. The dispenser works very well and is very precise so if you are considering a pneumatic dispenser, please consider this product instead. It really is the better alternative and is highly recommended. This is a very nicely designed unit, with strong 3D printed parts and nice laser cut case. Dispenses solder paste well, repeatable results when settings are tuned and dialled in, and the firmware is easy and intuitive to use with a lot of customisable settings. Well packed and good construction quality. Schematic included in box to help customisation if you want to do that. The designer Dan is also very helpful with quick email replies. Thanks for the awesome product. With anet-a8 3dp, I made a uvglue auto dispenser with this DM dispenser. but the delivery was so late. I paid $48 for ems but it took about 3 weeks to south korea. and one more, the price is too great. $149.99(including switch) is very good price for south korea. because from $150, tax must be paid. Not a better paste/component dispenser to be had. It’s not often you get a product that lives upto it’s marketing hype. This does, and then some. Right out the box, packaging manual, support pictures etc everything is logical and well set out. The build quality is also excellent. I don’t often do reviews but this is one exceptional product that does what it says and more. 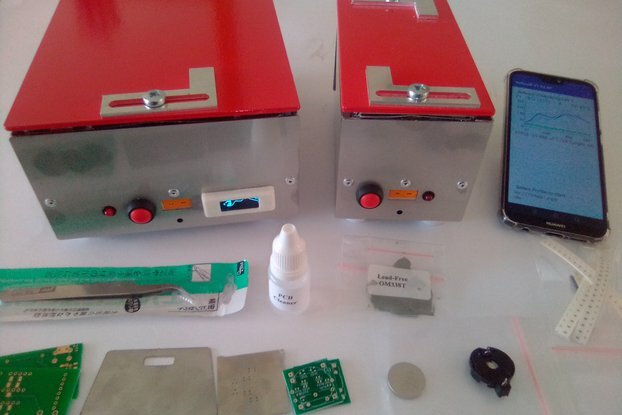 Anyone in the market for help in applying solder paste or picking and placing components needs the DM solder paste and adhesive dispenser. 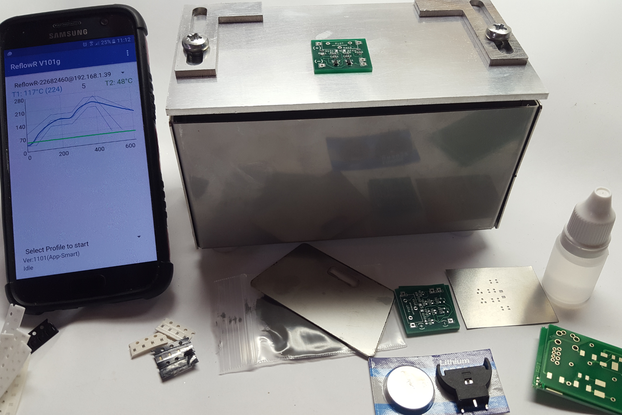 Even if you want to build an automated machine for these processes, you can make use of the whole device as the point of final delivery. Either paste or picking and placing components. The most satisfied shopping experience I have ever had! I am a student from the UK and bought this device to work with a robot program. The product is really useful and multi-functional that we can use it with the industrial robot arm, I also bought the extra finger trigger to connect with relay for another digital signal as the switch. Dan is such a sooooooooooo nice seller that so responsible for whole shopping process, even my parcel was stuck by FedEx, he really understood my feeling and tried to think from my side to resend me a new one!!! Finally, with the help with Dan, I received the parcel successfully. After I received the parcel, he is still with full patience to answer every question that I asked! To sum up, I want to give 100000000000 scores for the amazing shopping experience, the device is really brilliant and well-designed with every detail! Worked great out from the box. Easy to program, feels nice to use. Very responsive seller that will make sure it works well for you. Would be nice to have slightly longer wires between the stepper motor and the control module. The pre-wired possibility of using 12V is very much appreciated. Nice execution of the concept. Love it. I love the DM dispenser. I am an artist / crafter. This little workhorse of a machine finally lets me use aleenes tacky glue for my art without all the noise and hurting my hand. It is easy to use and setup. Dan is a gem of a person. He answered all questions and willing to help me if i had more. and the size if the syringes was more than i expected. Less time wasted filling up more time doing my art. Simple and beautiful. Thank you so much. I was concerned about the size of the tube and weight of the motor. But it fits in your hand good and weight is not an issue. Also the motor makes a good base to stand on when putting it down. Manual mode is easy to use and setup. The dot mode can be a little finicky to set up but works good once setup and dispenses they same amount every time. The knobs are also a little finicky. One click on the knob is not always the next menu item. Filling the tubes thru the coupler is a excellent idea. No mess and waisted paste! And having caps at both ends to seal off works well. The only waisted paste is what is left in the tips. There is also paste left in the tube when the plunger is bottomed out. I didn't realize I was at the end (the motor stalling is the clue) and may have distorted the plunger. I'll know when I refill. And these tubes seem to be better than the ebay tubes. It was shipped right away but the USPS took 25 days. It would have been faster if I just drove down to Mexico and picked it up (I live in Texas). 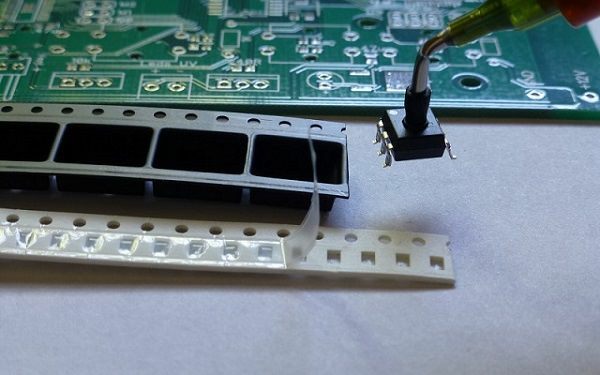 My request would be to have smaller tubes or be able to use the existing solder paste tubes. Note: If pressing any button causes the screen to flash. Disconnect the motor. If the buttons now work, your power supply is not providing enough current. It is cool than I thought. And I like it very much. The interface is intuitive and easy to use. It seems to be better than the compressed air method. This is a pretty sweet solder paste dispenser. If you are in that spot where hand soldering is getting to slow but your not quite ready for stencils this hits the spot. A really well presented unit, functional and neat. This is working really nicely with polycarbonate cements. I'm sing it with Scigrip weldon 16 and 4. With the included tips, syringes and plungers it's working really nicely. Scigrip 16 doesn't work with any of the provided tips, but when diluted down it flows nicely. Thanks, I'm enjoying a little more automation. 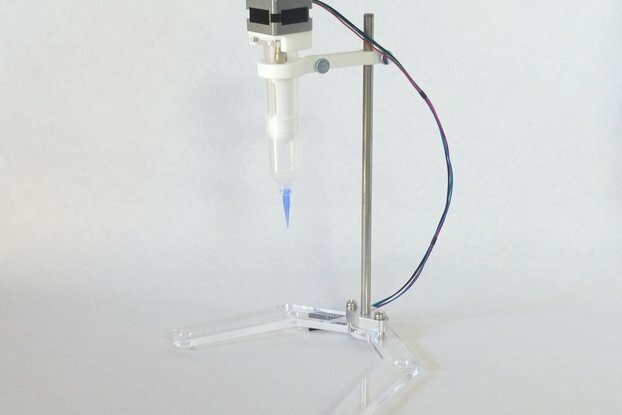 Really good solder paste dispenser. Easy to use. Documentation was includes in the shipment. Using it more then one week and had no problems at all. Great product ! Absolutely worth the price. Shipping takes a few weeks. Product works very well and is well designed. My compliments. Communication and Support is appreciated very much too! The DM Dispenser made my solder assembly much more quick and easy than my old method.. I began playing with it on a Saturday and my foot pedal wouldnt work, so I contacted the maker and he responded within about 10 minutes! All I needed to do was push the pedal plug in a bit harder and it worked perfectly after that. My boards have 0402 passives and QFN packages and this dispenser worked good with a low viscosity paste and a 22 gauge tip. Would definitely recommend. Works great and exactly as advertised. other tasks i haven't considered using an automatic dispenser before. lubrication system for tapping threads. it as a high precision pastry bag. thing i had to look up in the manual was how to enter pick up mode. PDF file (user guide) which continues on the web site (advanced). which i consider is pretty fast. No problems with customs at all. I could only say good points about this product. It's well designed, works great! However, the best part is the support, could not be better. Highly recommended, it's worth the price. Dan and Product are exceptional. I am not using the dispenser for solder. I have put it on my cnc router to dispense liquids in patterns. The dispenser is easily controlled by my flashcut motion controller. The quality of construction is superb an it worked perfectly straight out of the box. The foot control works great. I powered it first by computer use power then by and old 5 volt power supply. Both worked equally well. I would like to have more liquid capacity in the syringe, but that is due to my need and I am sure there is enough capacity for soldering. I would like to be able to run multiple syringes off one controller, it may do so, I have not discussed this with Dan. I could always purchase extra controllers. It would get a little crowded on the gantry. THanks Dan for great product and service. A great seller and a great product. Some time ago I order the DM Dispenser. 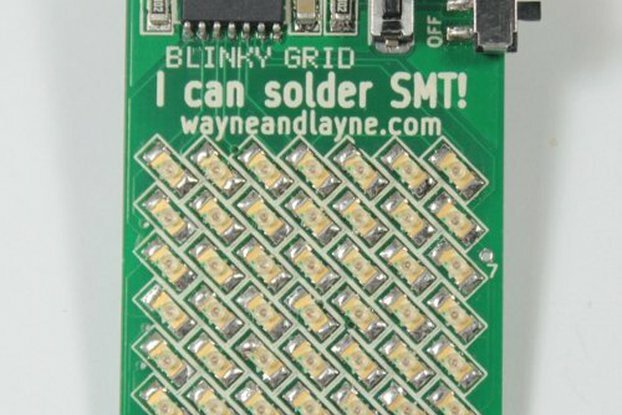 I found it on the Tindie site. I also ordered a footswitch and a longer cable for the dispenser, so that I could better manoeuvre on my workbench. After a week I received the dispenser in good order. The assembly of the tool is very easy. The filling of the dispenser too. Than I started in DOT-mode. After some tuning of the parameters and the choice of the right rubber tip (I use another solder past) the tool worked perfect (DOT mode). In this case I also had to adjust some parameters (as to expect). Drawing a line for a SMD-IC was than a piece of cake. Now I tested Pick up-mode. I lubricated the plunger with sewing machine oil, the only one I had home. After 2 or 3 seconds the vacuum leaked away and the passives and SMD IC’s fell down. I lubricated more, I greased the plunger but nothing seemed to work. I informed Dan about my trouble with the pick up-mode. I expected a response in a couple of days. No way! The same day Dan mailed me that he expected that the oil was probably to thin. Although it was mentioned in his operating manual, for the moment I had no other oil. The next day I bought some thicker oil in a local shop, applied it and all my troubles were gone. The pick up-mode worked now also perfect. 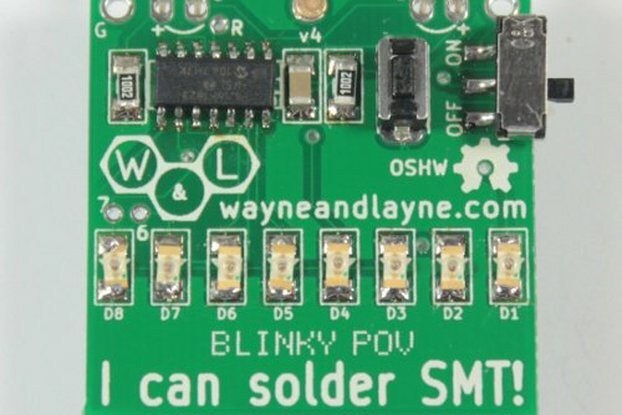 I can advise everybody who works with SMD’s to buy the tool. Yes, the tool is not cheap, but worth all its money. So if you want one, go to “Tindie” and look for DM Dispenser. Moreover I have to mention that Dan writes “after sales” in CAPITALS! This review will be a very short summary of the other one. After buying the dispenser I got a mail the same day asking about what the seller should put on the customs declaration forms to let the package get to it's destination as quickly as possible. The package went out on the Monday after that. When I've got the package on Friday in the same week, I noticed that a hole was poked in it. After unpacking and checking all the contents I contacted the seller to let him know about this. The syringe holder (the plastic that's bolted on the motor) was broken on one side on delivery, but the seller instantly offered me a replacement sent out from the UK (fabricated in the UK and sent straight to my address). After 4 days I had my spare part. I can say that I am really happy with the device and would buy it again without hesitation. The seller is also VERY quick in answering e-mails and really wants you to have the best customer support experience possible. I haven't found any other company or private individual offering such great support!